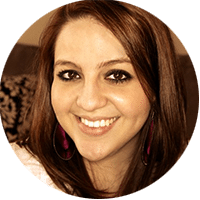 I like making meals that provide leftovers, which is exactly why I decided to try this recipe out in the first place. When I initially made this, TJ was out of town, and I wanted to make something once that I could eat off of for several days. This dish did not disappoint! 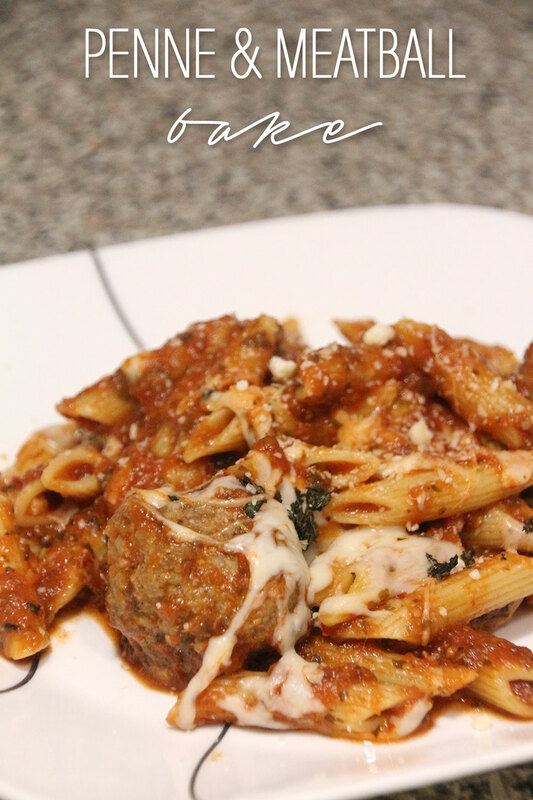 It’s the perfect mix of fresh, homemade flavors with the convenience of an easy meal. 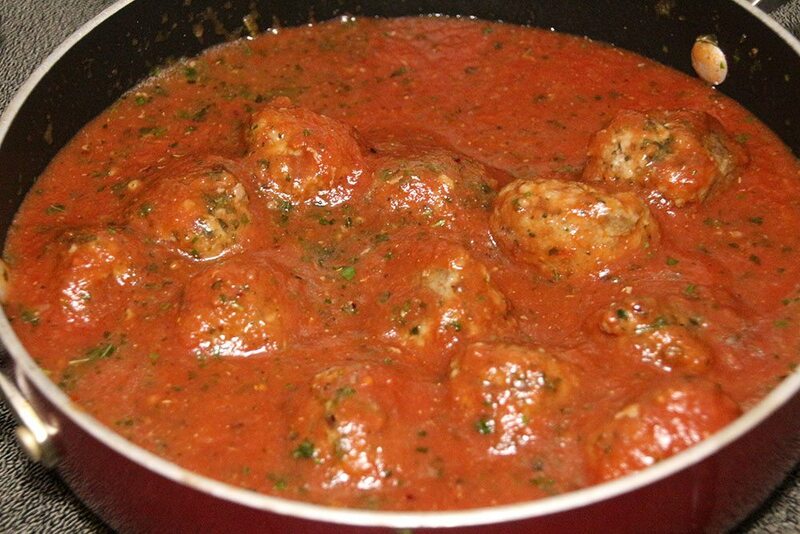 I really love homemade meatballs, and the simple tomato sauce complemented them well. 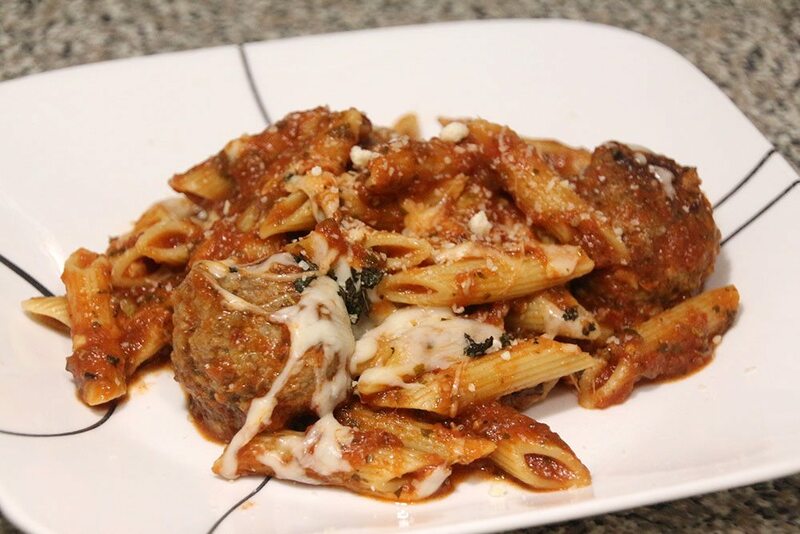 The dish is really filling, so if you have something on the side like a salad, garlic bread, etc, you might be able to get more than 4 servings out of it. 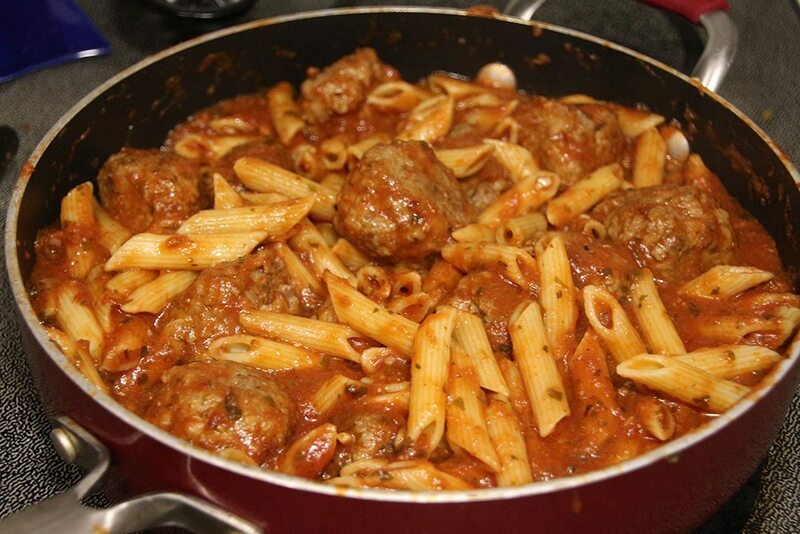 Cook the pasta according to package directions and drain, reserving 1/2 cup of the pasta water. 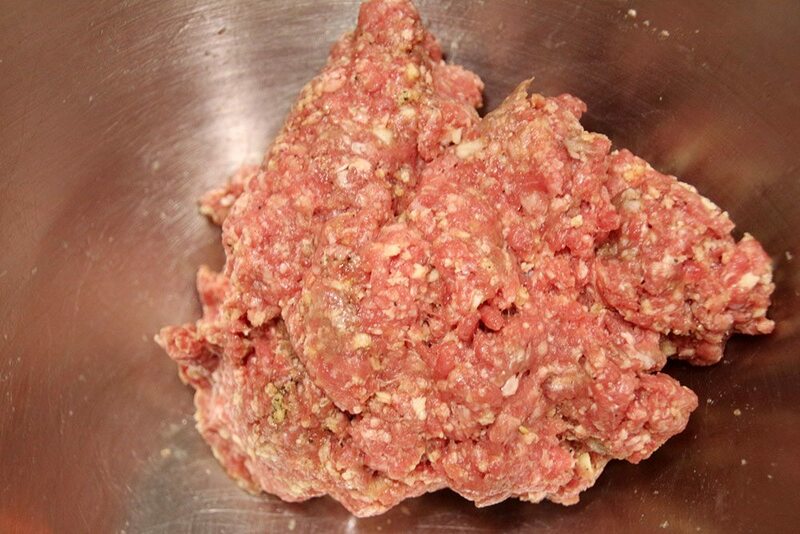 In a large bowl, mix together the breadcrumbs, 1 minced clove of garlic, 1/4 tsp salt, pepper, ground beef, and egg. 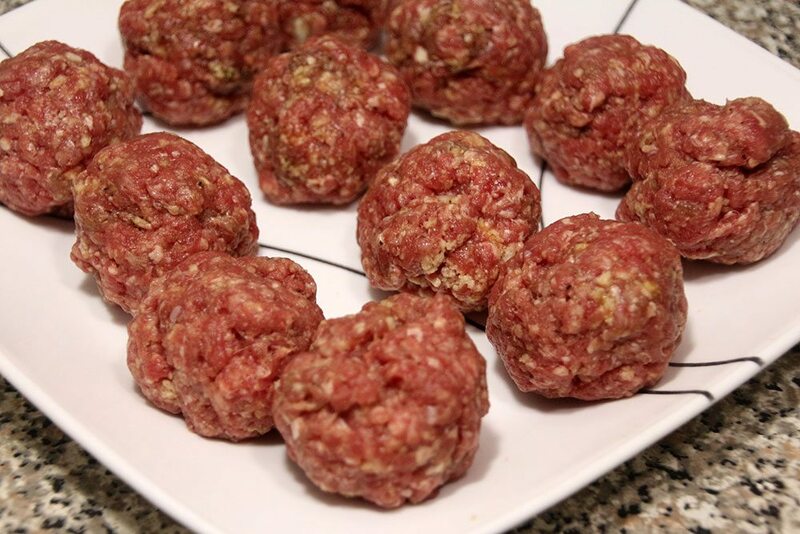 Form the beef into 12 large meatballs. Heat the olive oil in a large oven-proof skillet over medium heat. 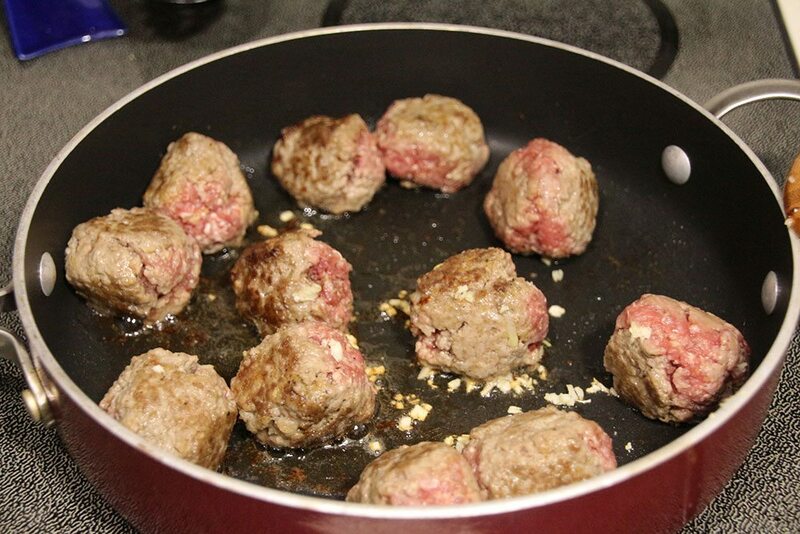 Add the meatballs to the pan, and brown, for about 5 minutes. Add in the remaining minced garlic. Add in the pasta water, remaining salt, 3 tbsp of basil, crushed red pepper, and tomatoes. Reduce heat to medium, cover, and simmer for 15 minutes. 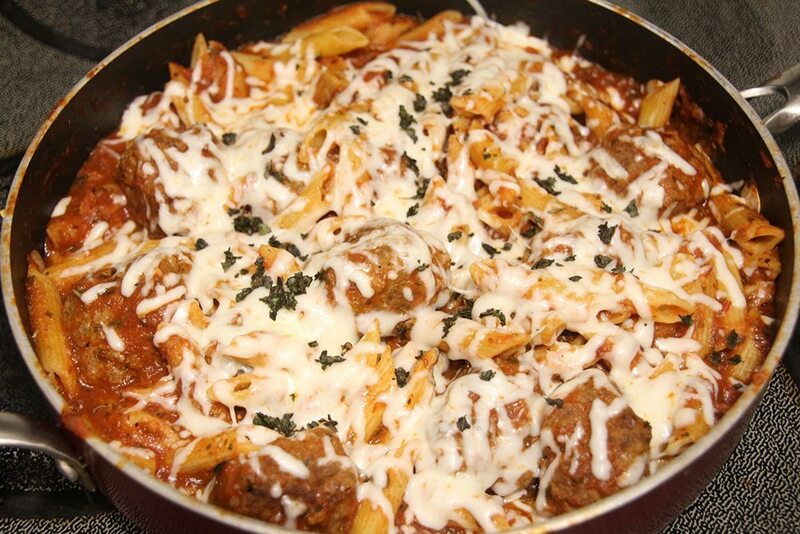 Stir the pasta into the pan. Sprinkle with the mozzarella cheese and broil until the cheese is melted, or 1-2 minutes. Garnish with the additional basil. 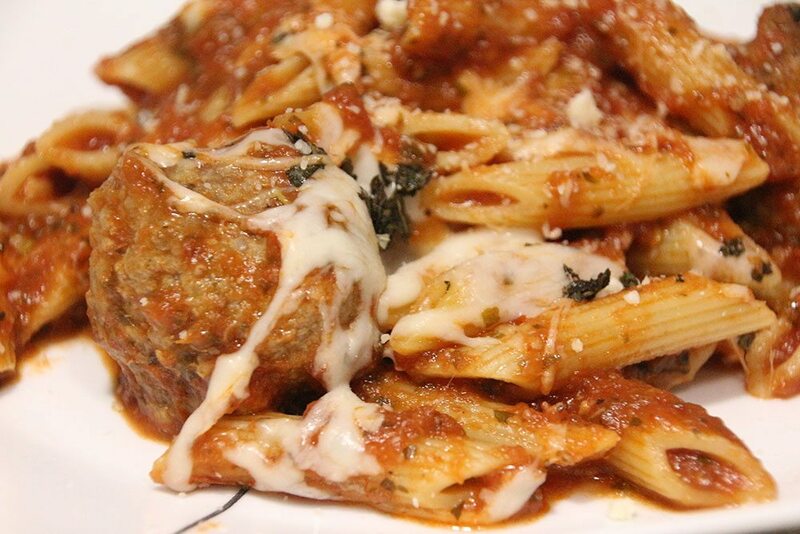 Top with Parmesan cheese, if desired and enjoy! What’s your favorite meal that makes for great leftovers?